STAPLE 2015 "Pitching Comics" Panel with Janelle Asselin, hosted by Meredith Nudo, a valiant Valkyrie from Houston, TX. Whether looking to pitch your own or just learn more about the process of how comics are made, this is a great primer on all of the above. An excerpt of this interview was originally featured on Giant Size #33: Heart and Soul, our STAPLE 2015 Special. Monica Gallagher started making comics on the web, but before that, anime and manga (and Elfquest) made her a fan who wanted to create in addition to consume. STAPLE 2015 Q&A with Brooke Allen, Grace Ellis, and Babs Tarr, hosted by Annie Bulloch, Valkyrie owner of 8th Dimension Comics in Houston, TX. Behold (...be-hear?) the origin of "Lumberjumbies", as coined by Brooke Allen and as memorialized on the Lumberjanes page at Wikipedia. This Q&A was not excerpted or otherwise used on Giant Size #33: Heart and Soul, our STAPLE 2015 Special. Think of this as a Special Edition Extra you'd get in the big of a big, expensive hardcover. Brooke Allen (illustrator, speaks first) and Grace Ellis (writer, speaks second) are two of the co-creators of the mega-smash-hit, *New York Times-bestselling *Lumberjanes. This interview was originally featured (in full, uncut) on Giant Size #33: Heart and Soul, our STAPLE 2015 Special. 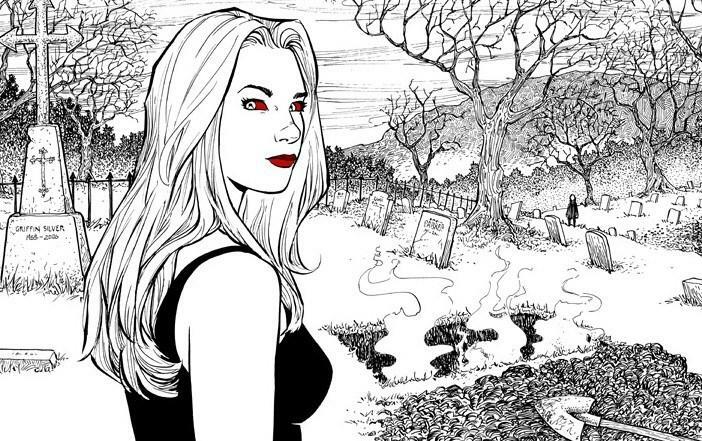 Terry Moore is the creator of Strangers in Paradise, Echo, and Rachel Rising. We discuss Rachel Rising and the importance of support from grassroots fans and local comic shops. In Rachel Rising, the we open on a dead protagonist. They discuss the origins of the piece and his motivation for telling this story this way.